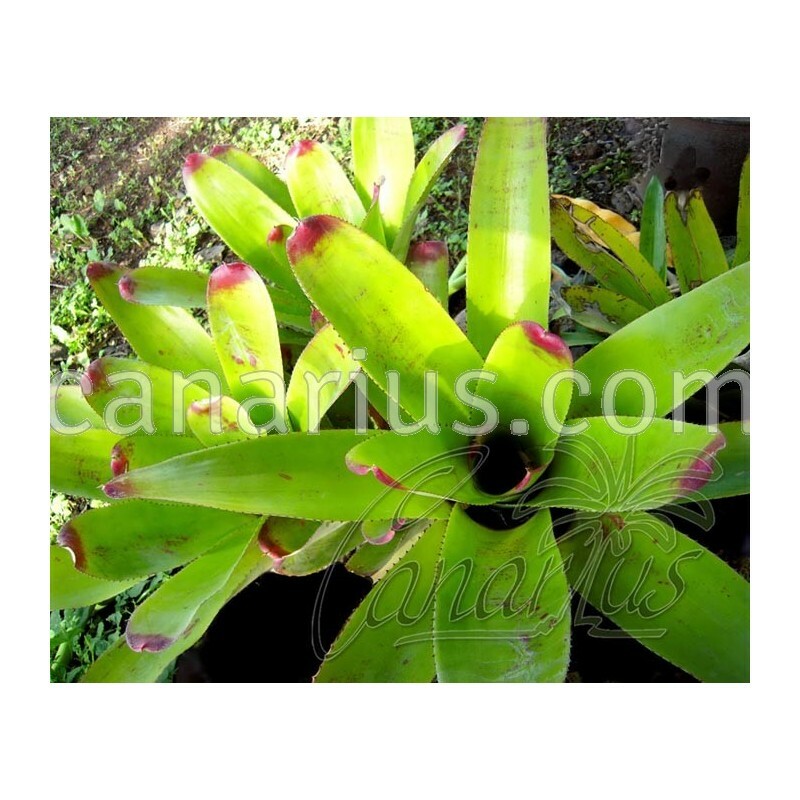 This beautiful bromeliad has stiff thick leaves, bright green with glossy pink tips. 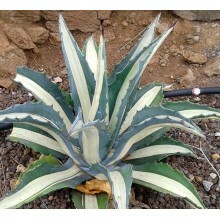 It grows in coastal areas of SE Brazil, on white sand. It loves full sun. 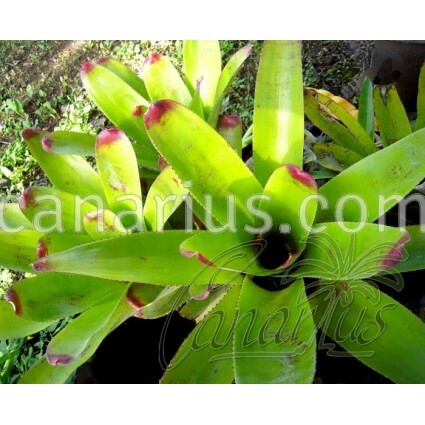 This beautiful bromeliad has stiff thick leaves, bright green with glossy pink tips. 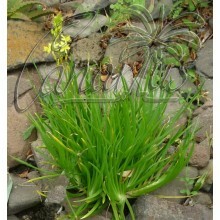 Neoregelia cruenta var. 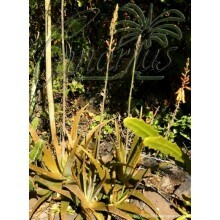 cruenta grows in coastal areas of SE Brazil, on white sand. It loves full sun. 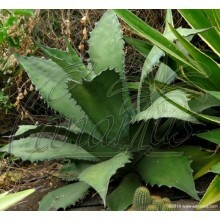 We offer a robust 25-40 cm (12-16 ") plant of Neoregelia cruenta var. cruenta. We ship it worldwide.